In the spirit of the festive month of Hari Raya Aidilfitri, our club hosted a potluck dinner before the meeting started on 4th July 2017. Everyone contributed by bringing in wonderful (and healthy) snacks. 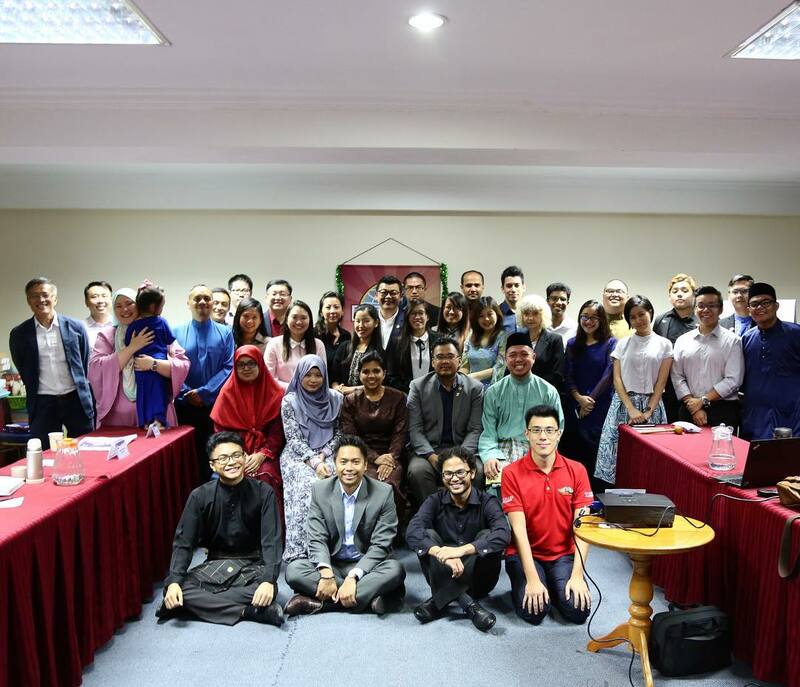 It was amazing start to the new term for Brunei Speakers' Club (BSC), and we were also glad to see some of the old members who returned to visit us. Every July marks a new term for Toastmasters club, ushering in a new club executive committee (ExCo). New ExCo, new initiatives. The first new change that was introduced to the club was to go DIGITAL! Inspired by the UBD Toastmasters Club, we embraced the new change and adapted to using PowerPoint slide projections for displaying our club meeting agenda. Hence, we no longer have paper agendas, as part of our initiative to be environmentally friendly by reducing paper waste. Grammarian: Gerald Goh, CC, ALB - As the Grammarian, Gerald introduced the word of the day, “grit”, which means courage and resolve, and it is a strength of character. There were 2 prepared speeches for the meeting. The first was by TM Lim Mei Ann. Her CC5 project was titled “Jump!” and in her speech, she shared her experience in trying to attain a skydiving licence. The second speech was a CC9 project by TM Jidun Dollah, entitled "Active". Jidun attempted to persuade us to be more active in our lifestyle after he shared some facts about the causes of death in Brunei due to non-communicable diseases. Jidun urged us to be active for at least for 30 minutes a day, 2.5 hours a week, to stay healthy. In this meeting, our club members received a treat - a free club notebook! 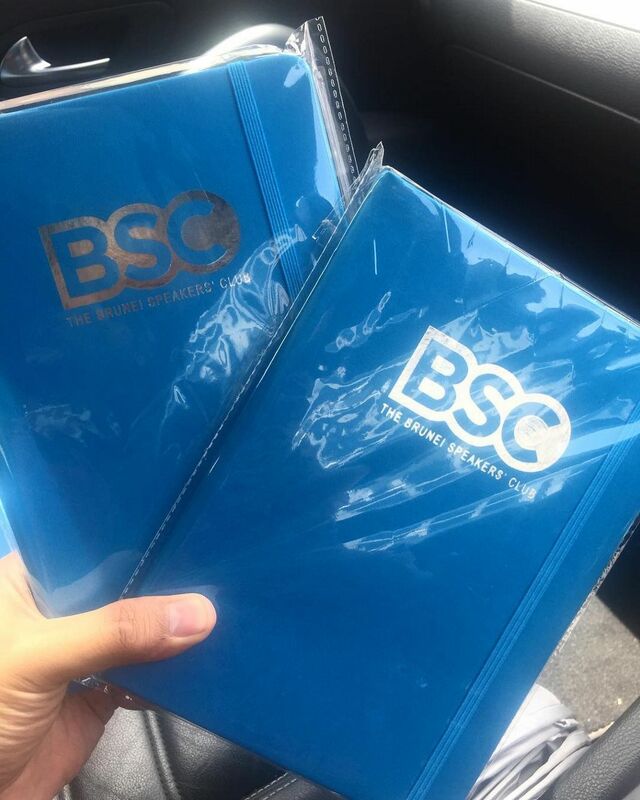 The blue notebook is one of the bonus to be a BSC member, and it came through the initiative of our new President, Pooja Shivanand, CC, ALB, and Vice President Education, Rano Iskandar, ACB, ALB, to encourage us (1) to listen more and taken down more notes during club meetings, and (2) to write more speech scripts. Hooray to the new ExCo!